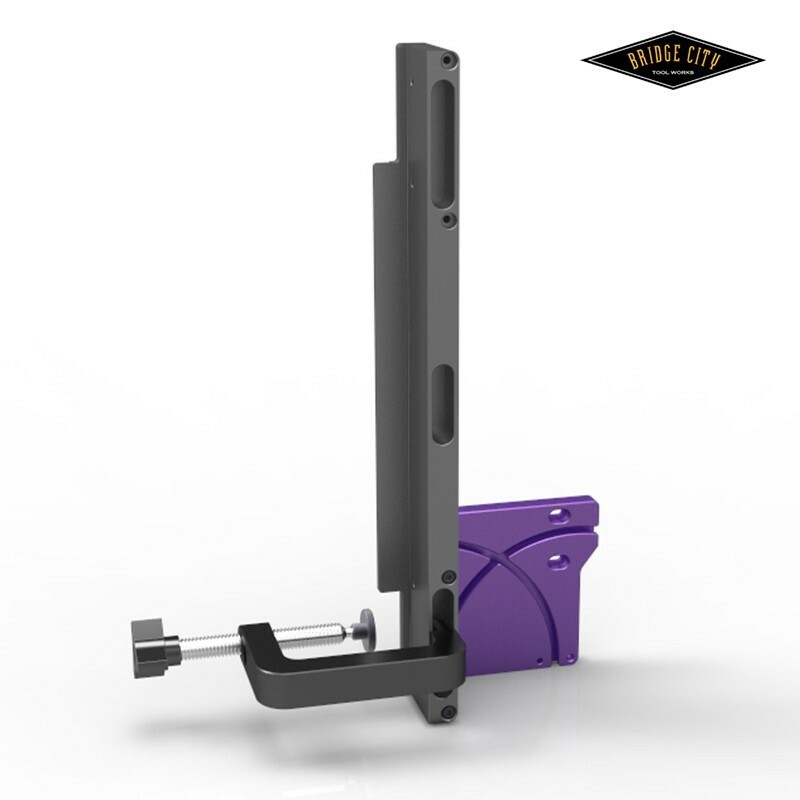 Solidly constructed of aluminum, the Tenon/Miter Jig is easily attached to the Precision Fence stop blocks to provide a perfect work support and reference surface for cutting accurate tenons and angles. Overall length, height and width. The Tenon/Miter Jig is the most important of the accessories available for the Precision Fence. Tenon cutting and bevel angles are accomplished accurately and quickly. The Tenon /Miter Jig works by removing the flip up fingers from both heads on one fence of your Precision Miter Fence. 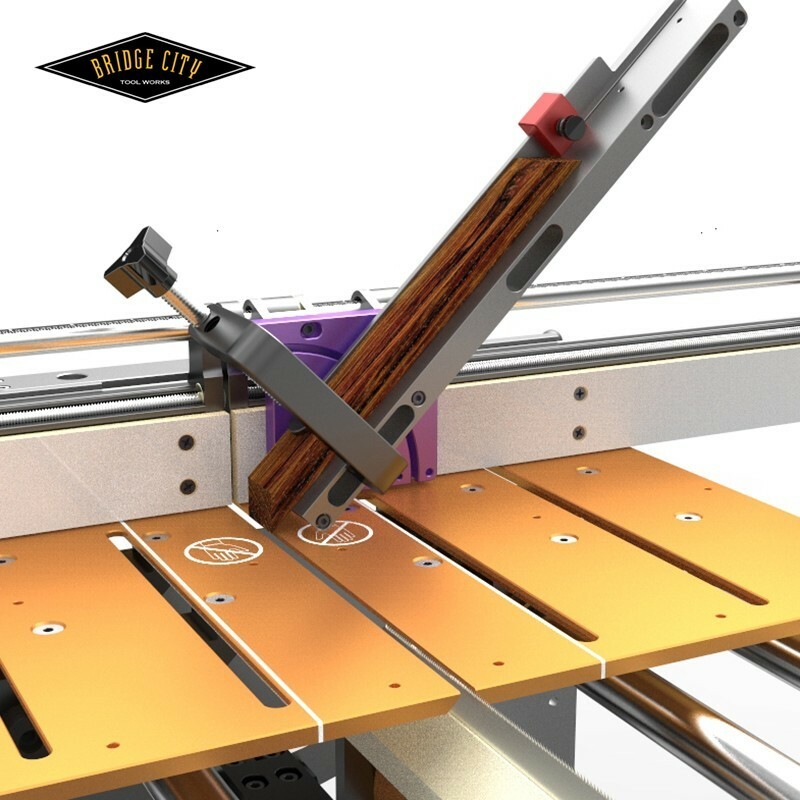 Once attached to the plates, the Tenon/Miter Jig provides a firm foundation that will allow you to cut highly accurate tenons (using the fence micrometer) as well as cutting miters, at any angle, without tilting the blade. This makes set up much easier and reduces the number of trial and error tests. You can also cut compound bevels by tilting the fence and the stock, again without tilting the blade. 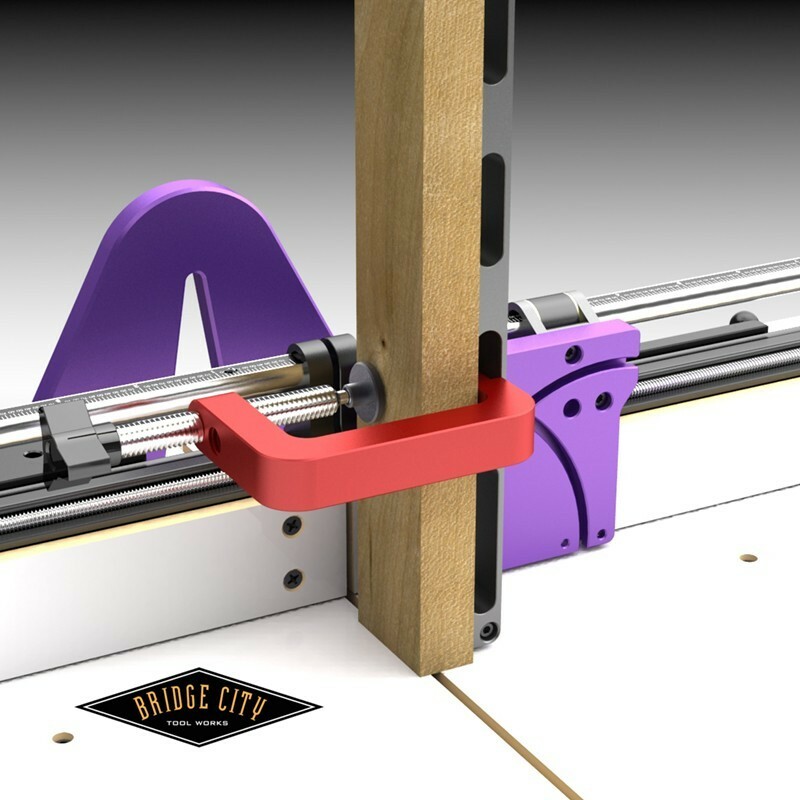 The Tenon/Miter Jig comes with an integral friction lock “C” clamp for holding your wood against the arm making set ups even faster. NOTE: The Tenon Miter Jig must be used in conjunction with the Precision Fence System.